A Roscommon man, Padraig Naughton, has just received a substantial boost to his artistic career with an award from the Arts and Disability Awards Ireland - the first year that this innovative new award scheme has been available both North and South of Ireland. Padraig, who lives in Togher, Ballinasloe, is a tactile and visual artist whose work include landscape drawing in charcoal and ceramic murals and installations with a strong emphasis on their tactile qualities. He is also an experienced conference and seminar speaker and workshop leader, with a specialist knowledge of art as it relates to people with a visual impairment. Padraig studied at the National College of Art and Design Dublin, graduating with a Bdes in Craft Design ceramics. Since then he has exhibited ceramics and drawing in numerous galleries and festivals throughout Ireland, the UK and Belgium. The award will be used for further research and development of Padraig's large scale tactile sculpture in ceramics. The research will produce models and finished work of exhibition standard. Other winners include Peter Mooney from Cookstown and Niall McCool from Armagh. The awards are jointly funded by the Arts Council of Northern Ireland and An Chomhairle Ealaion in the South, and this new scheme was administered by the Arts and Disability Forum, based in Belfast. 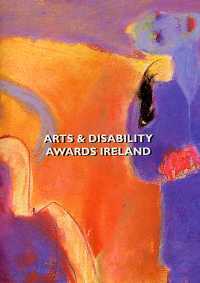 The awards were for at least £1,000 each, and the scheme is intended as a major boost to the development of Disability Arts throughout Ireland. Both Arts Councils came together to stress their commitment to Arts and Disability/Disability Arts on both sides of the border and were greatly encouraged by the number of entrants for the Awards. The awards were competitive and were open to all individual artists with disabilities, or groups of artists with disabilities, living anywhere in Ireland. Only projects showing genuine creativity and imagination were selected for an award. The Arts and Disability Forum was set up to promote the active involvement of disabled people in the arts in Northern Ireland. Its goal is to encourage and facilitate disabled people's participation in the arts at whatever level they choose, be it as consumers or practising artists, or as arts administrators and managers. It is a unique organisation, fully controlled and run by disabled people. It's main decision-making body is an executive committee wherein only disabled people can vote and determine policy. The Forum wants to send a signal to disabled people in the wider community in the whole of Ireland that their inclusion in arts activities is a right - not a privilege. The awards go a long way to achieving this goal. Applications for the next round of Awards will be available in February 2001.